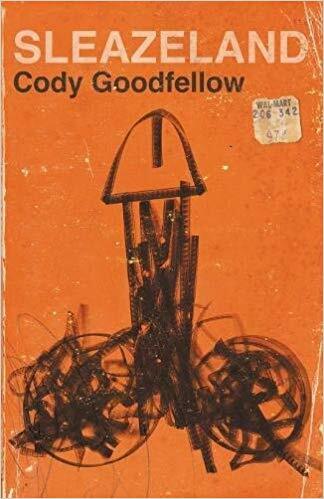 Goodfellow, Cody. Sleazeland. Portland: Eraserhead Press, 2018. ARC/PDF. In proper Goodfellow style, a mirage of cynical anecdotes in their many stages of incubation coalesce. With a memorable opening setting, a man is shown the error of his self-centered ways when he refuses to pick up after his dog, who has dropped a gigantic deuce. Our irritation is rewarded when the struggling actor Charlie Parsons beats the offender nearly lifeless with said canine. (The beloved pet escapes to safety. His owner? Not so much.) I take a moment to meditate upon the times I have almost purchased a bottle of dog repellent in an effort to thwart such endeavors on my own property by careless passerby, and nod in satisfaction from the trenches of suburban inconvenience. Delving into a playground of metaphorical relevance and irreverence, no holds are barred in this unrated, bare-knuckled fistfight in which each character and scene struggles to strike a pose for that coveted money shot. Tailored and tight, manicured to fit this reader’s truncated attention span, each self-aware prop and set has been injection-molded into a conveniently packaged serving size. This action-packed, transdimensional rescue mission offers an unexpected and unsettling glimpse of our own reality through a funhouse mirror that may not be quite so distorted after all. You can be the judge of that. Self-aggrandizement and awareness of it rule not only a struggling actor here. Witness the floodgates burst as tides of irony wash untended layer upon layer of prosthetic cosmetics from the idols we have all held so dear. SLEAZELAND by Cody Goodfellow. This book will be available September 1, 2018 from Eraserhead Press. Why bother having to schedule all of that, when you can just Pre-order it HERE.